Considering launching an app? Take a page or two from the Tinder playbook and set yourself up for success. If you've been part of the dating scene within the last couple of years, you don't need me to explain what Tinder is. Come to think of it, you've probably seen or at least heard of it regardless of your dating activity. Since it launched in 2012, the Tinder app has become a phenomenon. Users of the app make millions of Tinder swipes and matches per day. In fact, the dating application has generated over a billion matches since it was created. The app has become so popular that to "swipe right" on someone or something has come to mean to accept or like that person or thing. By 2017, Tinder had become the top-grossing app in the Apple store for the first time, putting it ahead of other giant apps like Pandora and Netflix. Tinder's rise to the top actually came after it rolled out its premium "Tinder Gold" membership to monetize its huge and ever-growing user base. It's human nature to crave affection and to search for someone else to connect to or build a relationship with, and the technology of recent years has helped facilitate that. The online dating industry's total revenue amounts to over $1.3 billion per year, and Tinder has claimed a significant portion of that market. While I can't tell you how to best call off your Tinder relationship, I can give you a quick explanation on what the team behind the app has done to make it the breakthrough success that it is. Are you looking to build and launch your own app? Do you wish it could experience the same meteoric rise as Tinder? If so, there are many critical lessons you can take away from their story. Before websites and apps helped break down the barriers to new relationships you either had to know someone to introduce you or strike up a conversation with a stranger. This meant approaching someone without any sign of how compatible you may be for each other. Then Tinder came along as a convenient way to meet people. Users swipe right if they like what they see, or swipe left if they don't. Unlike other more traditional dating websites, there is no long biography and list of questions about yourself to answer. For those with busy lives and careers, Tinder is an excellent way to connect. It puts you in touch with a considerable number of potential partners in a short amount of time. The world is full of heavily-funded apps. Some experience short-term success while others, like Tinder, have staying power. The app was born in 2012 through the work of founders Sean Rad, Justin Mateen, and Jonathan Badeen. They received funding and support from the mobile application firm Hatch Labs. Did you know: The name Tinder came from the idea of starting a fire or setting a spark for potential romantic relationships. Within a year of the app's release, it was such a success that the three founders found themselves on the Forbes 30 under 30—an annual list of the year's brightest young entrepreneurs, stars, and leaders put out by Forbes Magazine. Some may say this was sheer luck and that the trio brought a product to market at the right time. However, Tinder made a number of key decisions that may have spelled the difference between success and failure. Let's take a further look at how they did each of these things so well. Like most startup companies, the Tinder team was on a tight budget. They focused almost exclusively on word of mouth to provide growth for their then-unknown app. The sheer number of people talking about the app helped it reach the critical mass required for it to gain momentum and take a share of the market. Unlike other tech startups, however, Tinder didn't make use of Facebook Ads. They also chose not to use the mass email lists of college and university students that people offered to them. They wanted Tinder users who downloaded the app because a friend had a great experience and told them about it. 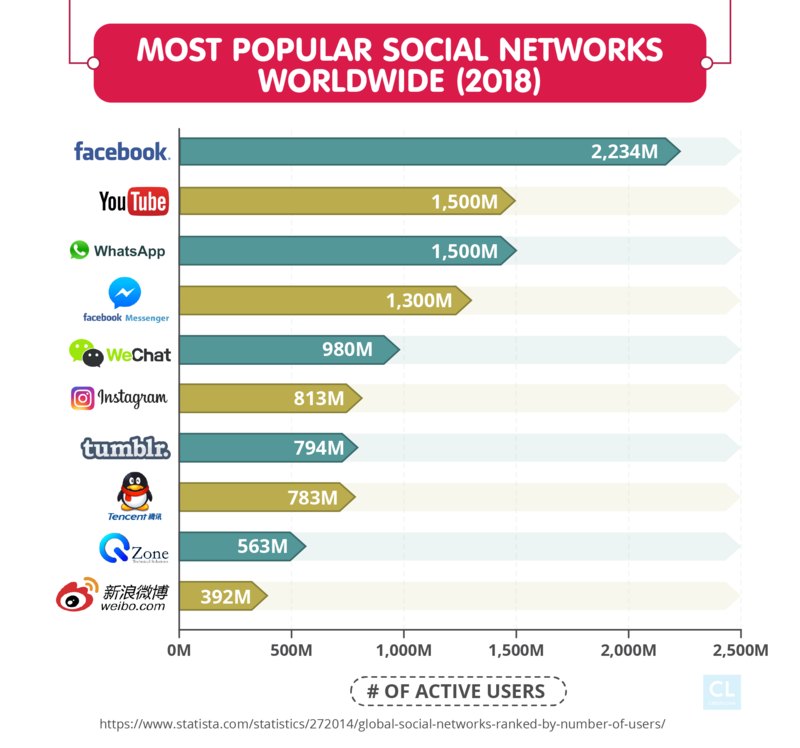 This decision to eschew conventional advertising strategies in favor of organic, word-of-mouth growth would help them acquire their preferred type of users who would later become the lifeblood of the app. In fact, the one time that Tinder tried to market through paid advertising to a Turkish audience, it failed miserably. They didn't get the quality of users they were able to attract organically. Key influencers. Tinder targeted key influencers to fuel their organic growth further. The creators of Tinder chose not to mass market the app to everyone with access to the Internet. Instead, they focused on targeting smaller communities. For example, the collegiate Greek system played a pivotal, dual role in Tinder's growth. Once a couple of sororities began using the app, word of mouth between the sorority and fraternity houses of that campus would take over. This instantaneously increased the availability of potential matches for users in that area. After Tinder had gained traction in a specific market, they would then go on to target famous people and celebrities. It allowed them to mimic the growth pattern seen in college campuses except on a larger scale. This strategy of targeting key influencers helped them grow quickly. It allowed them to create self-sustaining networks before introducing Tinder to other demographics. Navigating through potential matches is as easy as users swiping left or right, which is an incredibly intuitive design. It also carried a gamification component; something that had the immense power to get users to keep coming back. Making Tinder into more of a dating game as opposed to a serious and formal matchmaking process ensures users enjoy a light and fun experience. Tinder also leveraged platform integration to make it easy and quick to sign up. Most dating services require users to fill out long applications or forms to be able to use the service. The app's creators noticed that a lot of people would abandon the signup process before even completing this initial stage. Tinder integrated with Facebook so that signup can be as easy as the click of one button. While most users may not be willing to spend 15-20 minutes to fill out an application, they are far more likely to take a few seconds to try out the app if the sign-up process was that hassle-free. The average American spends 5.6% (or an average of $2,827) of their annual expenditures on entertainment. This figure increasingly includes in-app purchases on their smartphones. Tinder has always been free to download, but the dating app started monetizing a couple of years ago with in-app purchases and advertising. 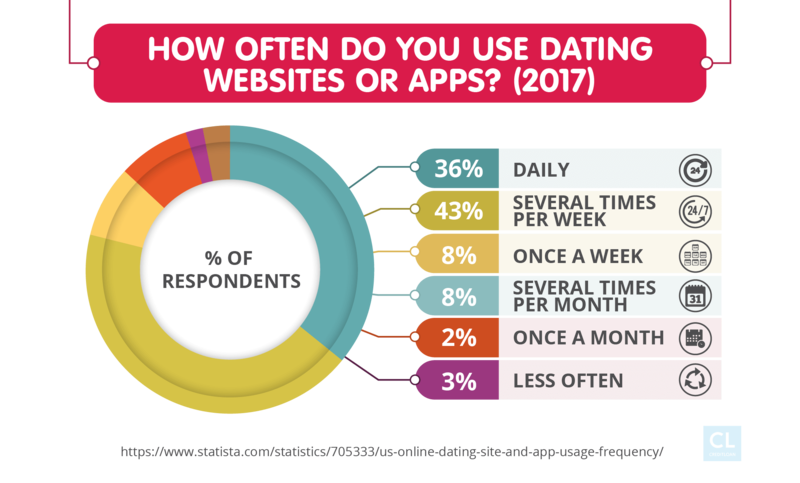 Today around a quarter of users are paying for online dating services. You would think that by adding a paywall to your service, you might see a drop in the number of users. However, Tinder actually surged to the top of Apple and Android store charts after Tinder Gold became available globally on August 29, 2017. Tinder Gold isn't the most popular in-app purchase that users of the app make. In fact, it ranks 10th for Tinder users. It comes in after Super Likes, boosts, other standalone abilities and the different tiers of Tinder Plus. That's why we created Tinder Gold, a members-only service, offering our most exclusive features: Passport, Rewind, Unlimited Likes, five Super Likes per day, one Boost per month, and more profile controls—as well as our new Likes You feature, so that you can see who likes you before you swipe. Think of it as your personal Swipe Right concierge—available 24/7—bringing all of your pending matches to you. Now you can sit back, enjoy a fine cocktail, and browse through profiles at your leisure. There is a lot to take away from the Tinder story whether you're planning to launch your own app or start any kind of online business. Lesson #1: User experience is EVERYTHING. Today's world is extremely fast-paced. People don't have time for lengthy sign-ups or any kind of friction when they're interacting with your product. If you don't provide absolute ease of use, your users are likely to simply abandon your product for something more user-friendly. This is especially important for an app like Tinder that requires a large number of users for its ecosystem to thrive. Lesson #2: Don't underestimate the explosive power of word of mouth. Nowadays it's almost assumed that businesses have to always pay to play. But a strategic organic growth engine can easily be 10x more powerful than paid advertising. No matter what product or service you're about to launch, it's worth considering a trial run where your only advertisement is by word of mouth. It could save you from huge investments in expensive ad campaigns. Lesson #3: There's nothing micro about the power of micro-influencers. Micro-influencers are everyday people with a small to medium sized following on Facebook, Instagram, or other social media platforms. They have a very direct and personal connection with members of their audience and interact with them directly in most cases. A single social media personality can now reach more people than an average television broadcast. Thanks to the viral nature of the internet, all it takes is a single click. These influencers are often brand advocates or industry experts. They have a niche audience that they hold massive sway and influence over. Tinder's growth from the onset entirely hinged on micro-influencers. In their case, these were small college networks such as fraternities and sororities. If your product or service is something that you feel people will love, put it into the hands of a micro-influencer. The chances are that you will quickly see its popularity rise. A micro-influencer spreading your company's message will drastically boost word-of-mouth advertising. It can be well worth it, even if you need to offer them your product for free or do a paid promotion. Lesson #4: Focus on monetizing your current audience as opposed to scouting for new audiences. Determining the best way to monetize your audience as a business can be just as tricky as tackling of personal finances in a relationship. Entrepreneurs will often focus on scaling and growing their audience. An alternative is to find creative and meaningful ways to monetize the base they already have. For Tinder, it merely took adding another high-touch tier of service for their existing customers to upgrade to. The company also expanded gradually. This ensured it was dominating a specific geographic area before expanding out further. This tactic can avoid the risk of stretching yourself too thin. This same strategy has been successfully used by other apps such as Uber as well. Still want more information about how Tinder did it? If you want to glean some additional insights and lessons from Tinder, Business Insider did a great podcast with Tinder CEO Sean Rad. In it, he discusses some of the marketing tricks that he used to speed up Tinder's rapid increase in popularity. 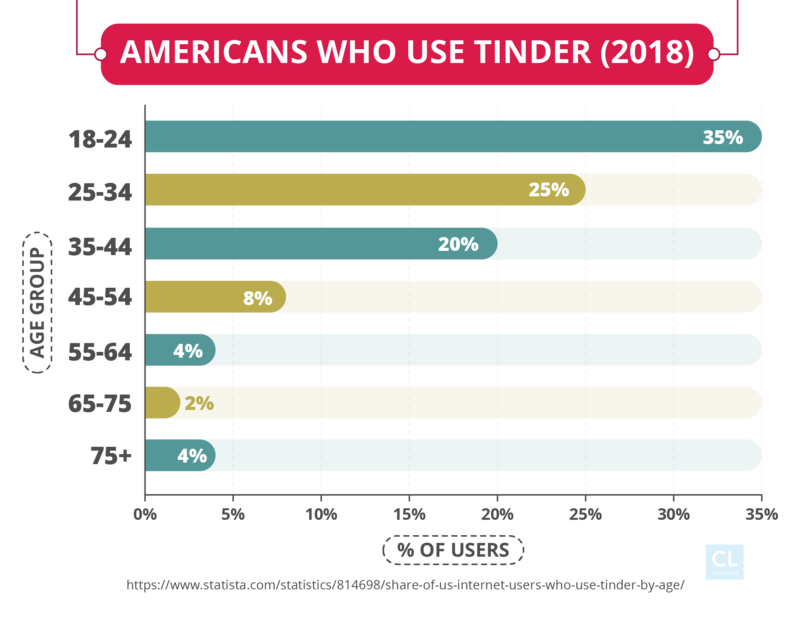 Tinder has become such a household name that even your uncle and grandmother probably know about it. It's a great case study on how to successfully establish your mobile app and send it to the top of the Apple and Play Store charts. Its ease-of-use ensures that new users are willing to give it a try instead of being deterred by a long signup process. The company focused on organic growth instead of traditional paid advertising, and it paid off handsomely. The use of key influencers helped speed up the word of mouth process to get their application into the hands of millions of users. Tinder then monetized their audience with great success while still retaining an excellent base product for free. All of these factors combined allowed the app to experience explosive growth relatively quickly. Which one of Tinder's lessons are you going to incorporate into your next app or business project?